Summary of this volume: The ISoC III is a continuation of the ISoC II which has been held since 2014 with purpose to promote and develop science and technology in chemistry. The ISoC itself is a continuation of the National Seminar on Chemistry (SENAKI), which has been held every year since 1999. ISoC is a forum for students, researchers, educators, observers and practitioners from universities, research institutions, industries and the general public to exchange ideas and latest information in the field of chemistry and its application. 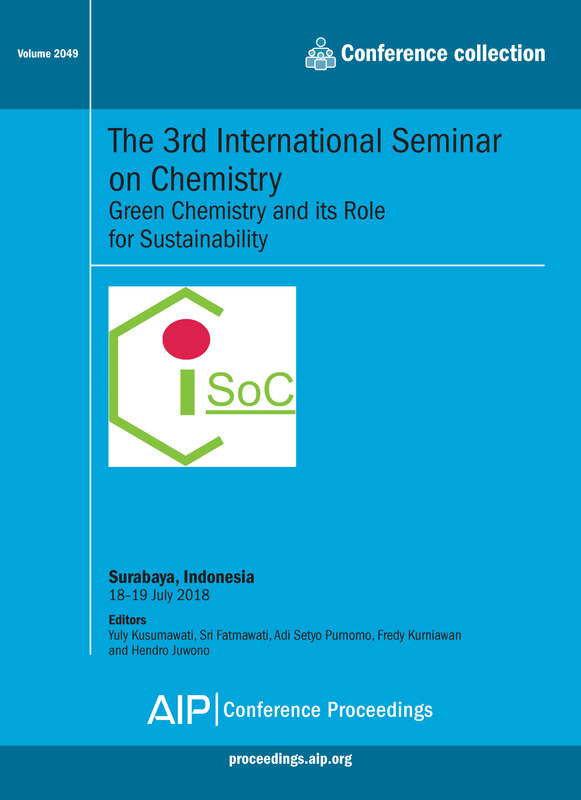 This year ISOC III was held along with the Congress of Indonesian Chemical Society for establishment of Inorganic Division (HKI Divisi Anorganik) and Congress of Organization for Woman in Science for The Developing World (OWSD)-Indonesian Chapter. We invited participants from around the world to get involved and present their current research both in oral or poster presentations. For further information about this volume: Please view the table of contents available on AIP Publishing's Scitation platform: Volume 2049 table of contents.